20+ Scrum SEU Online Course Bundle | Renew Scrum Certification Now! Super simple – get the bundle, take the courses, submit your SEUs and renew your certificate. Click ‘Add To Cart’ below to start renewing your Scrum Alliance certification before it’s too late. Don’t leave it too late to renew your Scrum Alliance certification. You worked hard to get your Scrum Alliance certification, so you won’t want to risk losing it by missing out on your next renewal. And because you need to renew your certificate with the Scrum Alliance® every 2 years, we’ve created this course bundle to help you do that, in one easy to access resource. When you complete Master of Project Academy’s Scrum Alliance Certification Renewal Bundle, you’ll have earned the 20 SEUs (Scrum Education Units) you need to renew that all-­important certificate. The Scrum Alliance insist all certified Scrum Professionals complete SEUs every 2 years to renew their Scrum certificate. Following table shows the Scrum SEUs required to renew Scrum Alliance certification. And if you miss out on renewal, or just renew too late, you may have to earn an extra SEUs just to catch up or re-take the Scrum Certification exam. But with this course bundle you don’t have to worry – just complete each of these two online courses worth a total of 20 SEUs, and simply renew your certificate with the Scrum Alliance. When you take these courses you’ll also be reinforcing key Agile concepts, learning new best practices and becoming a more rounded Scrum Professional (and more attractive to future employers). What are the 2 courses in your Certification Renewal Bundle? Master of Project Academy is the leading online, self-­paced course provider for project management professionals. As well as our popular online courses, we also produce helpful and informative content to aid project management professionals’ development. Ready to earn your Scrum SEU credits and ensure your Scrum Alliance certificate status? Click ‘Add To Cart’ below and grab your course bundle with a 75% discount off the price of these 2 courses if bought individually. 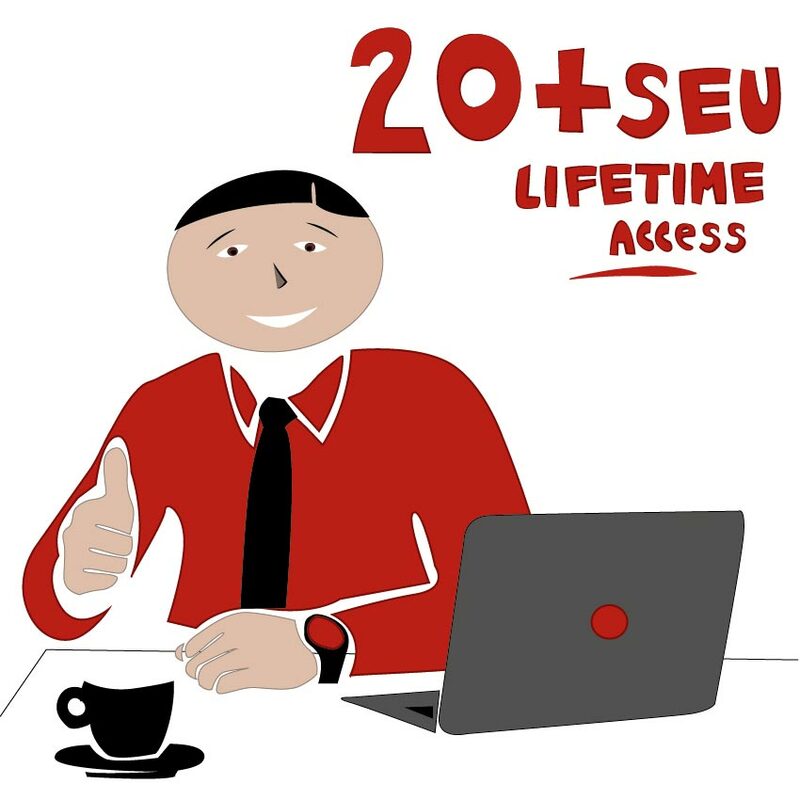 Once you complete each course in the bundle you’ll be ready to claim your 20 SEUs and renew your Scrum Alliance certificate. Why should I renew my Scrum Alliance Certificate? Scrum Alliance requires Scrum Professionals who hold scrum certification to show professional experience or event activity that will help them keep pace with changing agile project management and scrum trends. That’s why Scrum Alliance expects each Scrum certification holder to submit Scrum SEUs every two years to retain their Scrum certification. Since Scrum Alliance certifications are globally reputable certification in agile project management world, it is strongly recommended that you retain your Scrum Alliance certification. What are the Scrum Alliance SEU Requirements? – Foundational Level Scrum Certification (CSM, CSPO, or CSD) owners must earn 20 Scrum SEU points every two-year. – Advanced Level Scrum Certification (A-CSM or A-CSPO) owners must earn 30 Scrum SEU points every two-year. – Professional Level Scrum Certification (CSP-SM, CSP-PO or CSP) owners must earn 40 Scrum SEU points every two-year. What is the validity of a Scrum SEU hour I earned? For all Scrum Alliance Certification renewal cycles, SEUs must have been earned within your current certification period. For example, if your certification expires 1/10/2021, then your SEUs will need to have been earned between 1/10/2019 and 1/10/2021. How is Scrum SEU Hours calculated? An SEU hour is based on a 1:1 ratio of contact hours to points. For example, if you attend a Scrum conference and participate for the entire two days, you will earn a maximum of 8 Scrum SEU hours. Attending a one hour Scrum webinar is equivalent to one Scrum SEU hour. What are the Scrum Alliance SEU Categories? You can earn Scrum SEU credits from six different SEU categories. You will be able to submit your earned Scrum SEU credits from this bundle under Category E.5 option. How can I earn online Scrum SEU hours? You can attend scrum webinars, listen podcasts or read agile blogs to earn Scrum SEU hours online. However, it will be difficult to earn all Scrum SEU hours need from these online Scrum SEU resources. Therefore, we recommend enrolling in this Scrum SEU Online course bundle and earn required SEU hours required to renew your Scrum certification conveniently. When should I start submitting Scrum SEU hours to renew my Scrum Alliance certification? As soon as you earn your Scrum certification, submit any events or activity in Scrum Alliance that earn Scrum SEU hours. Many certification holders wait until too close to their Scrum certification expiration date, and try to complete all their required Scrum SEU hours in just a couple of months or even weeks! Scrum Alliance is rigorous for these Scrum certification holders and your Scrum SEU hour submissions may not be accepted – so we advise against leaving it until your final month before renewal. How can I submit my earned Scrum SEUs? Once you complete a course, you can submit your earned Scrum SEUs in the online system of Scrum Alliance. You should be able to submit your Scrum SEU hours under your profile once you logged into your profile in Scrum Alliance website. What should I do after I complete Scrum SEU Hours needed to renew my Scrum Certificate ? After you complete Scrum SEU hours in your two-year term cycle, you must apply for Scrum Certification renewal in your Scrum Alliance profile page. You’ll then be directed to a secure payment page to pay your Scrum Certification renewal fee to Scrum Alliance. How much does Scrum Alliance Certification renewal cost? Scrum Alliance Certification renewal fee is different for each scrum certification level. Following table shows the Scrum Certification renewal fee for each certification level respectively. You can pay this Scrum Certification renewal fee online directly to the Scrum Alliance using a card to complete your renewal process. Can I fulfill my Scrum SEU hour needs from Free Scrum SEU activities? There are free agile courses or free events (e.g. webinars, conferences etc.) that you can attend and gain Scrum SEUs. However, completing all Scrum SEUs for FREE will be tough especially if you are a working professional. Therefore, the best way to complete Scrum SEUs is enrolling in online courses and gaining SEUs easily. 20+ Scrum SEU Online Course Bundle will be a perfect fit for you to complete your SEU needs in one go! Where can I find more information about Scrum Certification Renewal? Should you have any further questions about Scrum Certification Renewal, please do not hesitate to email us at [email protected]. We will be responding in 24 hours if not sooner. Get 75% Off Your Scrum Certification Renewal Bundle Today! I was not expecting such a through process to renew my CSM certification with Scrum Alliance. I could access the courses that helped me to earn SEUs in 24 hours. After I submitted my SEU points, Scrum Alliance approved without any issue. Great comfort! The course was pretty informative, material was presented in an organized way. I learned a lot from it. Thanks. I spent a lot of time researching because I didn’t want to waste my time and money. Anyway, this is great training for renewing the certificate. Affordable course with excellent training material. The very high quality of work. I would recommend this course. This course has a comprehensive content. Well paced with lots of exercises. I highly recommend this course for anyone to need Scrum training. Scrum Alliance® approved renewal process – complete these three self-­paced certification courses worth 40+ Scrum SEU credits to renew your Scrum Alilance® certification.